In the past decade the rise of interest in designer fashion brands has had its dramatic impact on the furniture and interior design world. Fashion houses are no longer exclusive to "certain" clients, but have stretched out through numerous marketing strategies and social media methods to a large niche of people ranging from those who can just afford to "stare" to those who consider designer brands as their daily bread. 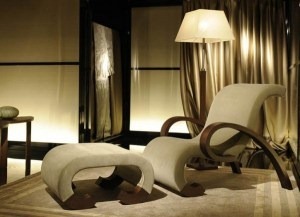 Giorgio Armani has been one of the pioneers, entering the furniture world almost 10 years ago with his Armani Casa line. His minimalist style in fashion is reflected in the clean lines of his furniture and simple fabric patterns. He relies on the use of high quality and luxurious materials such as Ebony wood, mother of pearl, silk fabrics and the likes. His Armani Hotel in Burj Khalifa of Dubai has caused an international stir. The hotel has 160 guestrooms and suites, 8 restaurants, retail and Spa areas spread out on 6 floors. This step is the paving way for a number of future hotels and resorts scheduled to open in Marrakesh and Egypt, with future plans for New York, London, & Paris. Armani designed private homes as well in Saint Tropez, Moscow, Singapore, and London. 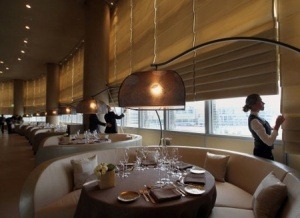 The next Armani hotel will open in Milan in 2011. The price per night for a classic studio is 2000 AED and for signature suite 8000 AED. To compliment his furniture line, Giorgio Armani created a kitchen line produced by Molteni’s Dada SpA under license and a home fabric line by Rubelli SpA which already does the fabric for his furniture. 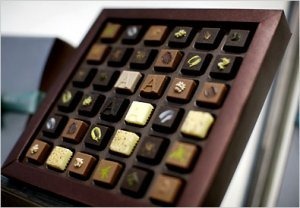 Personally I can not mention Armani Casa and just overlook the Armani Dolci collection, well known and very well appreciated in Kuwait for their amazing chocolate, jams, and tea, a perfect gift for any occasion (wink , wink). 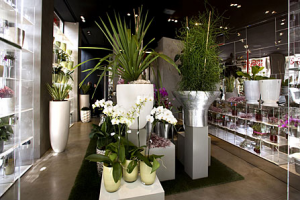 Moreover their Armani Fiori collection is nothing but great taste in a simple presentation of floral arrangements and vases. 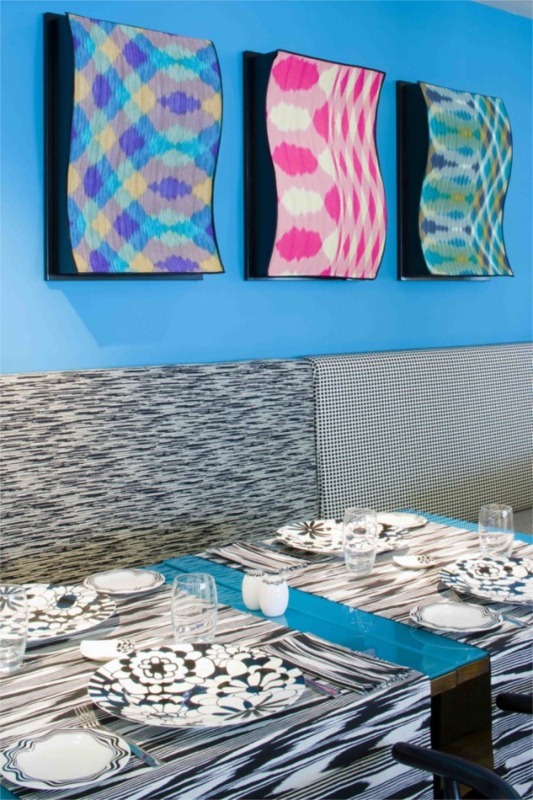 Another fashion house taking the interior world by storm is the very colorful Missoni. Missoni already have a textile line in addition to home accessories that have the Missoni colors, stripes, and zigzag lines all over them. Their first hotel just opened recently in Edinburgh and will be followed by Kuwait early 2011. 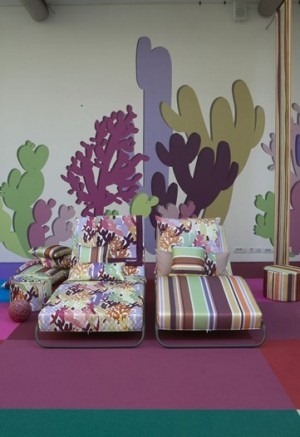 Missoni’s beautiful colors and fabric designs penetrated Roche Bobois’ world. Now Roche Bobois, one of France’s top furniture houses, periodically adds d "by Missoni" items to their collection. Fashion houses in the furniture and interior design business is an elaborate topic, I will be presenting more brands in future posts, for the time being I will list the sources for those mentioned above.